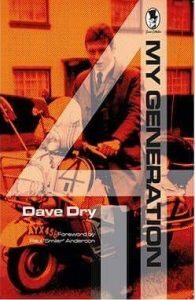 Original Mod, Dave Dry’s hilarious memoirs of his days at the cutting edge of both fashion and scooters in the mid-sixties. The GT is now the fastest and most eye-catchingly gorgeous transport in West London and looks very cool when matched with the new wine red, hand-made, full length, leather coat from Harry Fenton and the silver-grey mohair suit. You’ll know me when you see me! Modernist Beat Poet JASON DISLEY’s thrilling homage to pulp-fiction noir thrillers of the ’40’s and ’50’s set in the Mod clubs of mid-sixties Manchester. Being a Private Eye is sometimes a thankless and mundane job. The year is 1965 and Jake Brody Private Eye, is in desperate need of clients. When, an attractive woman enters his office and hires him, little does he realise that his week ahead is going to be one that has to be lived to be believed. 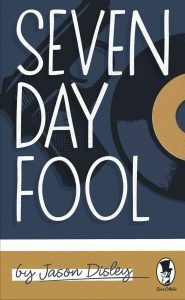 Seven Day Fool takes Jake on a thrilling chase through the shadowy underworld of Manchester nightlife. From its hip cafe bars, such as The Cona, to the shady nightclubs where the Northern Mods liked to frequent, like The Twisted Wheel. 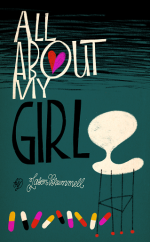 He is tasked with finding a missing Polish girl, but has just one week to do so, and no longer. The clock is ticking, ever faster, as fresh dangers come into play. The consequences of not finding her could, in turn, create a scandal for a ruling class still reeling from the Profumo affair. Gangsters, kidnapping, and murder are just a few of the hurdles he has to face. Will he manage to do what he needs to – or, will he end up the fool for just trying to do the right thing? 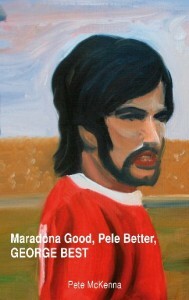 Hundreds of thousands of fans, from across the globe bore testament to the discovery of the genius that is George Best. The brightness of his rising star was matched only by the glare of the media spotlight and so those very same fans that witnessed his ascendancy also saw his very public decline on a scale like no footballing superstar has before or since. His sad self-penned epitaph, which perhaps fittingly, made universal front-page news; read simply DO NOT DIE LIKE ME! No one who’d ever witnessed that sheer God-given talent could ever forget his greatness and hundreds of thousands attended his funeral, including the author, to pay their heartfelt respects. Maradona Good, Pele Better, GEORGE BEST is the story of a man who saw the ‘damage done’ twice over and his journey to simply say ‘thank-you’ to the best player to ever grace a football pitch. 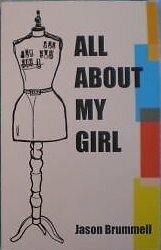 All About My Girl dips it’s beautifully shod toes (clad in Ravel Basket-weaves) into the soulful depths of an oasis of style amidst a cultural desert of post war early sixties London. It is about the Mods, high street stars that shone in a midnight blue mohair clad sky and their impact on a rain-grey world. It is about the daily grime and the daily grind that only adds fuel to the fire that explodes into living for the whole weekend before jumping the trains back to grey-ness and Monday. It is about the impact of their passion and its wider social impact on those who’s weekends are a forty-eight hour wait for conformity. It is about the gangsters who operate above the law and above their social station. It is about the law who struggle to adapt to increasing pace of change of the young idea. Those that agree that they have no pre-ordained place in society, fuelled by the amphetamines and the violence dealt in equal measure by those gangsters. It is about those lofty individuals that sit in gilded palaces above everyone. About how there tenuous grip on society is slowly weakening. How their morals prove to be their inevitable down-fall as they lie cowering in their ivory-towers left to watch their once-proud now-crumbling empires fall. The ripples from those beautiful shoes spread far and wide! Dig the New Breed baby! It’s 1966. 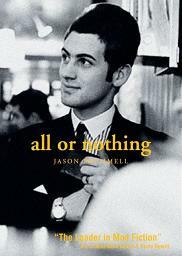 All or Nothing pulls up the velvet collars of it’s cashmere crombie up tight against a backdrop of when the modernist high street jewels of ’63 have gone underground and leaving the undue commercial spotlight to the new and the brash, unaware of their parody of what once was so pure. Whilst London is swinging and the country is getting World Cup fever. The Government are increasingly concerned with the very real possibility of a devalued Pound and the need for the impending re-payment of part of the Marshall plan loans to the U.S. In the midst of the high street peacock revolution one of the original Faces returns to these shores after three years and sees the changes of the past. Amidst the world of the Government and the ruling classes an interloper sees the changes that are coming. Both are drawn to each other, first through grief, then mutual respect and ultimately a belief in remaining true to the Modernist desire to change the natural order of things. Naturally this does not go unnoticed. The chill winds that follow are not the only reason to be grateful for such fine tailoring!